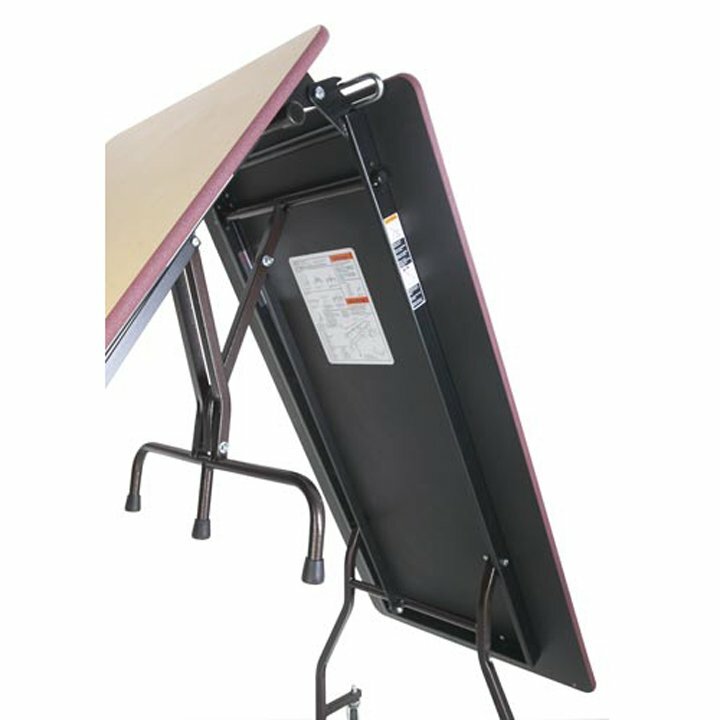 Preferred by schools, hotels and conference centers around the world, the SICO® LB portable folding table is ideal as a head-table riser or for endless other functions and an especially smart choice when you simply need a mobile folding table for use with separate chairs. 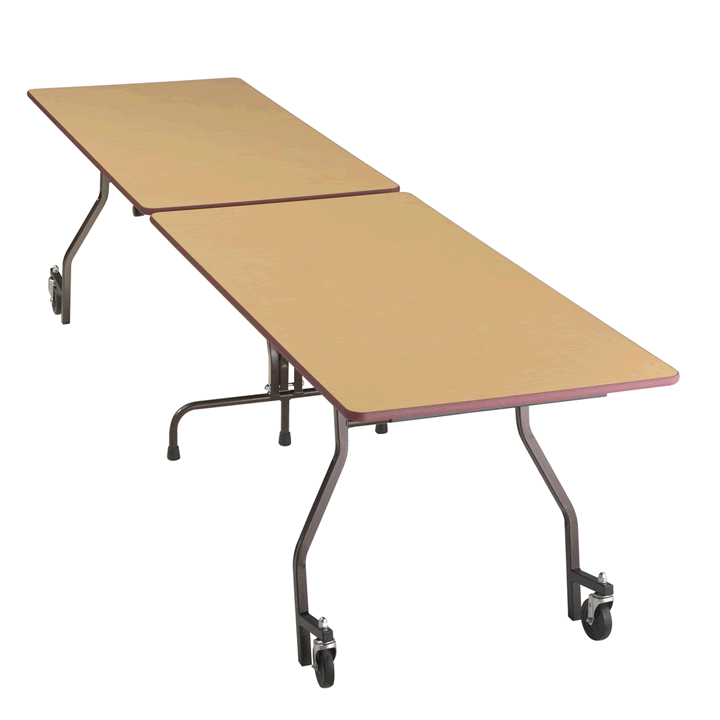 With its solid build and familiar rectangular design, the LB table easily rolls into use for foodservice, meetings, banquets, study halls, and testing rooms — while requiring only one-person operation. With more than a dozen impressive laminate top colors and patterns to choose from you can easily find the design that best fits your environment and reflects your style. 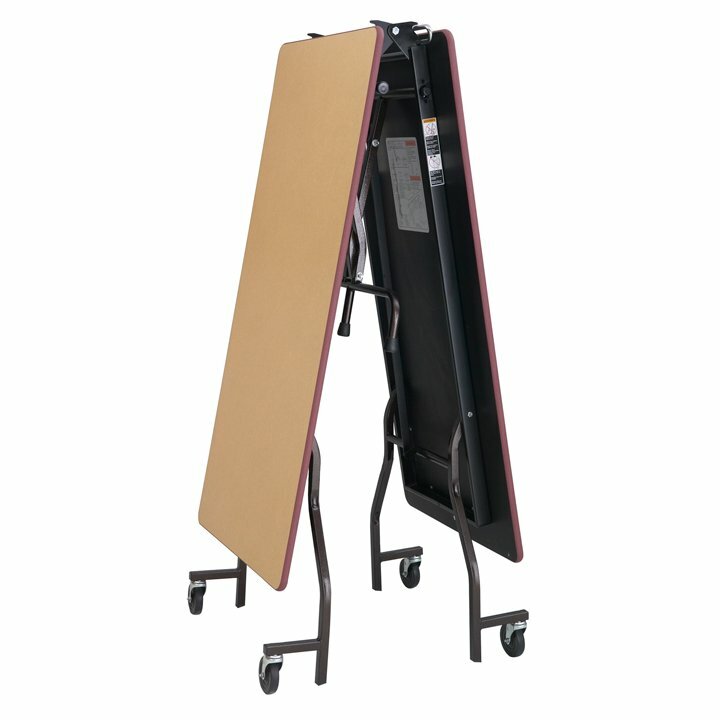 Since the LB table features four easy-rolling casters, it can be folded and ready to move to its next event or into storage in just seconds! Unlike tilt-drop-and-fold conventional tables that extend teardown time and are more taxing on your crews, the LB folds up in one quick step and there's no need to purchase separate table caddies.